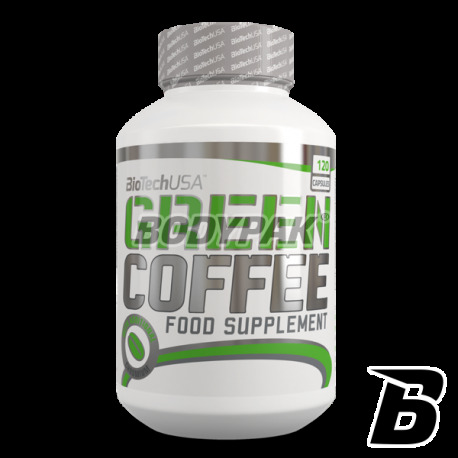 Fat LossBioTech Green Coffee - 120 kaps. 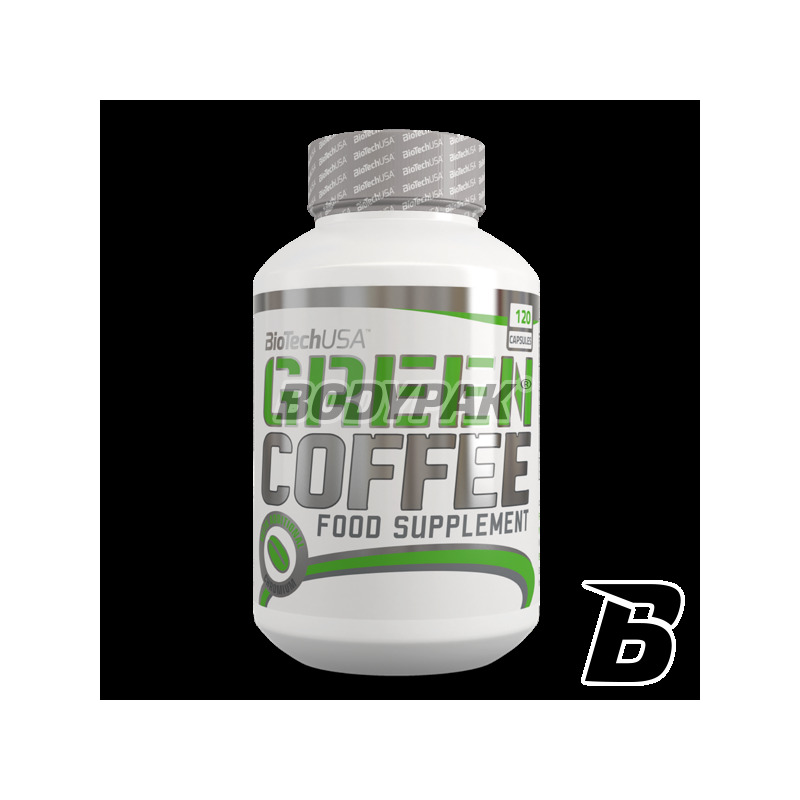 The supplement is rich in a high dose of the extract of green coffee, chlorogenic acid and chromium. With this product effectively be supporting your body in the fight for health and you speed up weight loss. 56 loyalty points Your cart will total 56 points that can be converted into a voucher of 2,24 PLN. 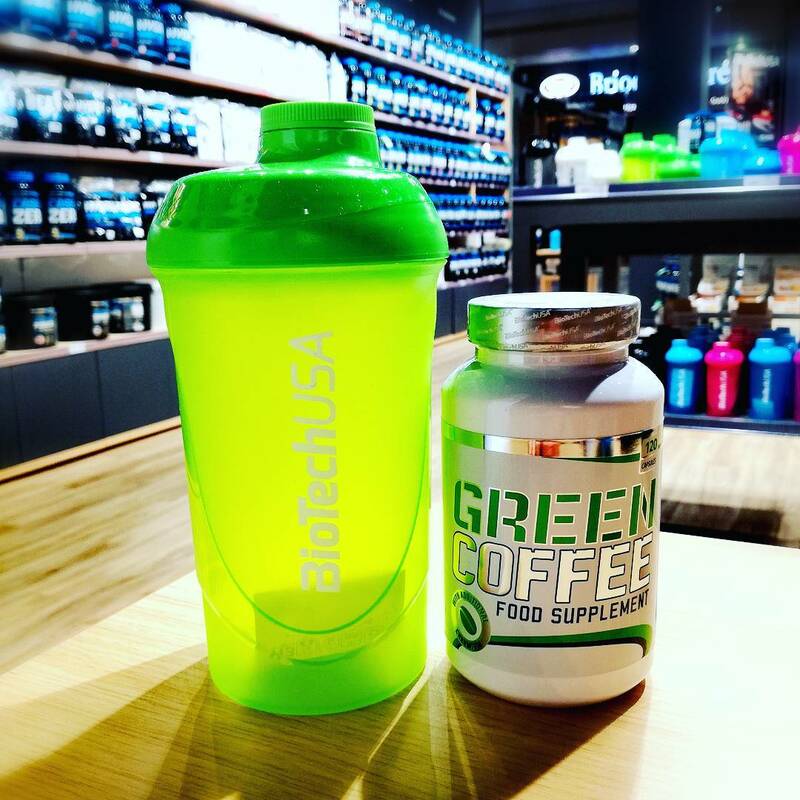 Green coffee is an extract derived from ungrounded coffee beans, whose main active ingredient is chlorogenic acid – which otherwise breaks down with roasting. We have added Chromium to the product, which contributes to normal nutrient metabolism and to the maintenance of normal blood sugar levels. Like all BioTech USA products, Green Coffee consists of safe and carefully selected ingredients. 1 dose 2 times a day with a meal. Ingredients: green coffee extract (42% chlorogenic acid), filler (microcrystalline cellulose), gelatin capsule (gelatin, dye: titanium dioxide), chromium picolinate. Skuteczny, ale nie działa od ręki.. kwestia czasu. Trec Lipo (X) Pack - 15 sasz. Grindin like an ox in the gym to get a great sculpture, and the results come very slowly or not at all? Probably your body needs additional active ingredients aiding fat burning metabolism and intensifying! Bet on the tested substances! Activlab L-Carnitine Plus HCA - 50 kaps. L-Carnitine HCA Plus is especially recommended to dieters, as well as to active and recreational sportsmen. 7Nutrition Jungle Burner - 120 kaps. Trec Redexx - 90 kaps. BioTech Ulisses Shaper - 90 kaps. Losing weight, and you want to speed up the results? Bet on proven active substances in specific doses! Top-quality fat burner, which further reduces appetite and away the feeling of hunger. The highest world-class quality! Nutrend Thermobooster Compressed - 60 kaps. You are looking for a safe, but effective support during weight loss? Just reach for this formulation to significantly accelerate fat burning without the unwanted effect of yo-yo! It contains only the active substances tested, in suitable doses. Highest quality guaranteed by the manufacturer! Nutrend CLA Softgel - 60 kaps. If you are looking for an effective and safe way to accelerate weight loss - you've come to almost perfectly. High quality L-Carnitine in liquid enriched, among others, in caffeine, vitamins, chromium and green tea extract! Not only helps burn fat, but also provides a boost of energy to work! Bet on a formula thoughtful and enjoy the effects achieved. Sport Definition Essence L-Karnityna - 90 tabl.